As tension builds between the Unites States and North Korea, “Morning Joe” host Joe Scarborough wants to remind his MSNBC viewers that he warned everyone President Trump was looking to use nuclear weapons back in 2016. 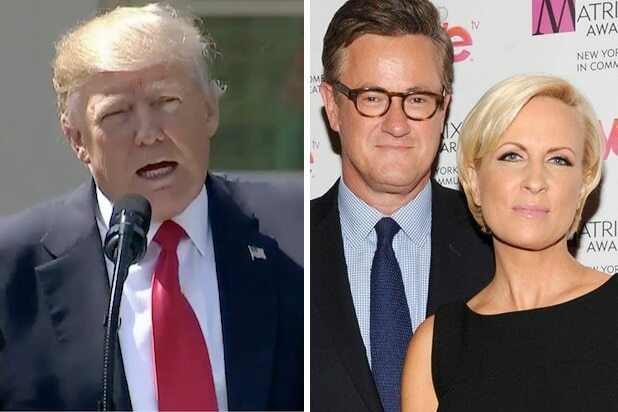 “Morning Joe” opened Wednesday’s show with a clip of Trump’s recent threats to North Korea followed by a look back at a segment from August 2016 when Scarborough warned about Trump and nuclear weapons. “Morning Joe” played the clip at least twice during Wednesday’s episode — he also reminded followers on Twitter. “There will never be a time that we are not the most powerful nation in the world,” Trump tweeted. Trump’s “fire and fury” comment came after a Washington Post report that North Korea possesses a miniaturized a warhead that could fit on top of one of its missiles. North Korea’s military recently said it was examining plans for attacking Guam. Meanwhile, Secretary of State Rex Tillerson said Wednesday, as he returned from an Asia trip, he doesn’t believe there is “any imminent threat.” Tillerson said that nothing he’s seen or knows of in the last 24 hours dramatically changed the situation between the Unites States and North Korea.